← Is Low Frequency Sonar Blowing Away Dolphins and Whales? Editor’s Notes: This page contains information and resources that focuses on the U.S. Criminal Justice System. As with the situation and policies of the U.S. Defense Department, it needs to be transformed. Justice and Peace are interconnected. Yet the mainstream public is brainwashed into believing that the current policies are necessary evils. They are not necessary, but, evil. – It is interesting that the word “evil” comes from the Latin word, Eros, meaning error. How did we get to this point of creating institutional crimes against humanity, inducing incentives for profits to enslave as many as possible in racist-proportioned populations? Our society has created dungeons of depression in a modern day era of slavery and oppression. A Nation Behind Bars: the buried talents of a population includes updates, links and resources on many justice issues, and includes resources Desmond Carter, Zolo Azania Agona, Mumia Abu Jamal, and is dedicated to the victims inside the corrupt walls of power, influence, and injustice. Their bodies are confined, yet their minds can be free. Join with the inevitable outcome for truth and justice. In that spirit we will prevail. Some following is on the difficult journey of a dear friend, Malik Abdullah Akili. He was a former member of the Black Panther Party, and had spent too much time in prison, due to his principles and the corruption of the system. This item also includes updates on another friend, who I met from Malik, Jehan Abdur-Raheem, plus information and links on the Human Rights struggles of Leonard Peltier, Richard Sitcha. Chief Iron Thunderhorse, and Zolo Agona Azania. We also have information on Kenneth Foster, another human on death row where Texas takes pride in its murdering institution. According to a U.S. News 11/9/98 report, for every 7 executions (486 since 1976) 1 other prisoner on death row has been found innocent. Isn’t this enough reason for a Moratorium on the Death Penalty? Besides a Moratorium, Flyby News supports the decriminalization of most all nonviolent and victim-less crimes as another beginning step to help transform a corrupt and racist criminal justice system. 22 February, 2016 – Democracy Now! You are free – you are free – you are free – you are free. When compassion, mercy, and truth are ignored? “Judge not, lest ye be judged”? Who cares about these grieving tones? Our brothers and sisters are doomed. when we can walk away..
Don’t wait, another part of me believes. Free, free, free my brother, free. When they leave the cage of earthly things. Yet all just being a fantasy in a life we sought.. The moment of ecstasy, plain living, or even suffering. In any moment a lasting seed can begin to grow. It’s the instant we can really know. Feel each moment as the river flows. Peace, my friend, peace, peace. You are free, my brother, free. This above poem was inspired from a friendship with Malik Abdullah Akili, who has spent too much time behind the bars of injustice and inequality. Malik and I have maintained our friendship through decades of time and struggles. We originally met when this former Black Panther was helping gang members of New York City to organize to redirect their energies and directions in life to be of service to their communities. The circumstances that first brought to work together was when a family we both knew was torn apart by the rash actions of a so-called children’s protective agency. They claimed emotional abuse and neglect. This family, like many others, was not perfect, and they were traveling and home-schooling their children, but the real abuse was from the social system, because of one complaint of emotional abuse; they came in the night with State Troopers to haul the kids away from their home to temporary institutional housing. Within a week our activist work together helped to bring an end to this traumatic tragedy of State abuse and misjudgment. The following are links to FN archives with updates and letters from Malik and his friend, Jehan Abdur-Raheem. After that are links and information posted at FlybyNews.com on Leonard Peltier, Lori Berenson, Richard Sitcha, Iron Thunderhorse, and Zola Agona Azania. Here you will read in their own words the background of arrest, conviction, what it is like to be in prison, and current campaigns for justice, compassion, human rights and freedom. Malik Abdullah Akili and Case Breaking for Freedom? Item 2 in this above issue also has a book review of Hard Time Blues: How Politics Built a Prison Nation. “This has been a crushing couple of days. First learning about the Congress vote for George W. Bush to go ahead and make war preemptively, based on his judgement.. This too much.. 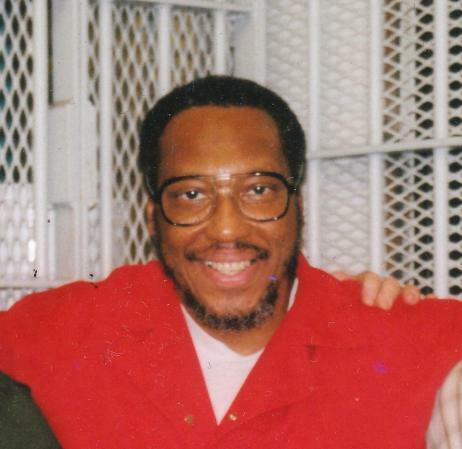 But then, too, learning that my friend Malik Abdullah Akili was denied parole.. They told him not to come back for another 24 months – in the belly of the beast. Malik and his family, friends, are all struggling now, facing a faceless tomorrow. . . except in knowing each other’s love, a moment is brightened to a greater resolve and choice to survive, to choose to struggle, and remain whole as living, caring people, though others are going down the tubes in distorting what is true about being human. Free Leonard Peltier — “Amnesty International considers Leonard Peltier to be a political prisoner whose avenues of redress have long been exhausted….Amnesty International recognizes that a retrial is no longer a feasible option and believes that Leonard Peltier should be immediately and unconditionally released.” Documents show that although the prosecution and government pointed the finger at Peltier for shooting FBI agents at close range during the trial in 1976, for three years the prosecution withheld critical ballistic test results proving that the fatal bullets could not have come from the gun tied to Leonard Peltier. This trial also denied evidence of self defense. The U.S. Prosecutor, during subsequent oral arguments, stated: “we can’t prove who shot those agents”. The Eighth Circuit found that “There is a possibility that the jury would have acquitted Leonard Peltier had the records and data improperly withheld from the defense been available to him in order to better exploit and reinforce the inconsistencies casting strong doubts upon the government’s case.” Yet, a new trial was denied. Judge Heaney, who authored the denial now supports Mr. Peltier’s release, stating that the FBI used improper tactics to gain Mr. Peltier’s conviction. A good way to learn about Leonard Peltier is to read his book: Prison Writings: My Life Is My Sun Dance. For excerpts, see the following link, under article by Louise Erdich: Time for Human Rights on Native Ground. For more resources: Free Leonard Peltier! On June 23r 2015, the U.S. Court of Appeals for the 7th Circuit denied my notice of appeal, certificate of appeal-ability, and motion to proceed in forma pauperis. What i gathered from the federal court’s ruling, among other things, is that they are tired of hearing about my case and no longer want to deal with it. They want it to be gone. Actually, they want me to be gone. Desmond Keith Carter was executed in North Carolina on December 10th, 2002. A Durham judge on December 4th halted the execution and agreed to hold a hearing in January on his legal claims, including an allegation of broad racial bias in sentencing. Desmond Keith Carter, 35, was executed hours after the U.S. Supreme Court twice declined to stop his execution. Gov. Mike Easley also declined to change the death sentence to life in prison without parole. Desmond’s brother, Tyrone Wallace, was there with family and protesters while it happened. Desmond Carter was sentenced to death in July 1993 for the murder of Helen Purdy in March 1992. Helen Purdy, a 71-year-old woman, was Desmond Carter’s next-door neighbour in Eden, Rockingham County, northern North Carolina. She was found stabbed to death in her house by family members. At the time of the crime, Desmond Carter was reportedly intoxicated on alcohol, cocaine, and tranquilizers. He had taken $15 from Helen Purdy, which he used to buy cocaine. Desmond Keith Carter was born to a 17-year-old mother in 1967. When he was three, his mother moved away, leaving him with his grandmother and alcoholic grandfather. The grandmother eventually left the grandfather and she and the child moved to North Carolina. During this time, Desmond Carter’s father was imprisoned for murder. According to his current lawyers, Desmond Carter began using drugs when he was a teenager, and his substance abuse deteriorated over time. Not long before the murder of Helen Purdy, his grandmother tried to obtain substance abuse and mental health treatment for her grandson, however the hospital refused him treatment due to his lack of medical insurance cover. In common with most capital defendants in the USA, Carter was too poor to hire his own lawyer to represent him at the murder trial. A study by the Common Sense Foundation, a research organization based in Raleigh, North Carolina, has concluded that more than 1 in 6 of the state’s current death row inmates were represented at trial by lawyers who have been disciplined by the State Bar. One of Desmond Carter’s court-appointed trial lawyers was recently reprimanded by the State Bar for making demeaning statements about a client in the media and for charging excessive fees. Desmond Carter is black and Helen Purdy was white. A preliminary study issued in 2001 by researchers at the University of North Carolina indicates that people in the state who kill white people are 3.5 times more likely to receive a death sentence than for murders involving victims who are not white. This likelihood increases if the defendant is not white. About 40 % of murder victims in North Carolina are white, yet 86 % of the 21 people executed there since resumption of executions were put to death for crimes involving white victims. This pattern is reflected in Rockingham County. More than half of murder victims there are African American; in cases which have resulted in death sentences, seven of the eight murder victims were white (87.5 %). Web Site: Office of the Governor – North Carolina (Click on ‘contact us’) . Re: Request to grant clemency on behalf of Desmond Carter (inmate # 0068237). As you are probably well aware, your state, North Carolina, is scheduled to execute Desmond Carter on December 10, 2002, which is a day commemorating International Human Rights Day. Desmond’s brother, Tyrone Wallace, lives in my community in Massachusetts, and has given me information on this case, and his life shows how two brothers, due to circumstances that separated them early in life, have taken totally different pathways. Since he was six months old, Tyrone hadn’t seen his brother, Desmond, till last June. Desmond killed someone strung-out on drugs and alcohol, over $15. The State of North Carolina wasn’t responsible when a relative sought help for Desmond’s treatment of substance-abuse, and was turned away due to lack of insurance coverage. How can the State justify taking Demond’s life now, while he is finally sober, confined, and no longer a threat? This killing of Desmond, scheduled on December 10, misses the point on what justice is all about, compassion, family, and protecting our communities. Desmond admits to a dreadful mistake, and spending his life in prison is a very harsh consequence. Taking his life sends the wrong message and does not deter such acts of violence from occurring. Instead, clemency for Desmond Carter would send a message of the responsibility for the State of North Carolina, as well as the responsibility for those who take life from someone else, that these actions are not acceptable, or supported by our civilization. Since we don’t know our fate after death, isn’t it more reasonable to serve justice with a sentence of what we know what the outcome will be, confinement, as well as to make more of a commitment to support those needing treatment before such a horrible event occurs? Please help humankind and the US celebrate this coming Human Rights Day, rather than mourning the fate of another individual with his life destroyed by a racist justice system that condones the exception of one of the ten commandments that we need to honor and show by example that all life is sacred. Mumia Abu Jamal, a black man, is on death row after a trial that represented the extreme of procedural unfairness. Mumia is a convicted cop killer, and for many, it is impossible to say for sure that Mr. Abu-Jamal is guilty, because our vaunted “due process” was suspended in his case. And it was clearly suspended because, unlike so many prominent black figures, he simply would not compromise with American racism. He would not moderate his appearance, his dress or his beliefs in exchange for a ticket to the mainstream. As a member of the Black Panthers, and later as a radio journalist covering the Move bombing in Philadelphia, he uncompromisingly identified racism wherever he saw it and would not shut up. “..But all [prisoners] found out how fragile the very system that stole their very freedom was when the state committed crimes against them. All found out that words like ‘justice,’ ‘law,’ ‘civil rights,’ and, yes, ‘crime’ have different and elastic meanings depending on whose rights were violated, who committed what crimes against whom, and whether one works for the system or against it. For those people, millions at last count, who wear the label ‘prisoner’ around their necks, there is no law, there is no justice, there are no rights. but together we can roll back the night. he would spare condemned prisoner Kenneth Foster from execution and commute his sentence to life. by Kenneth E. Foster Jr.